Formed in 1982 as the king of entertainment bands. 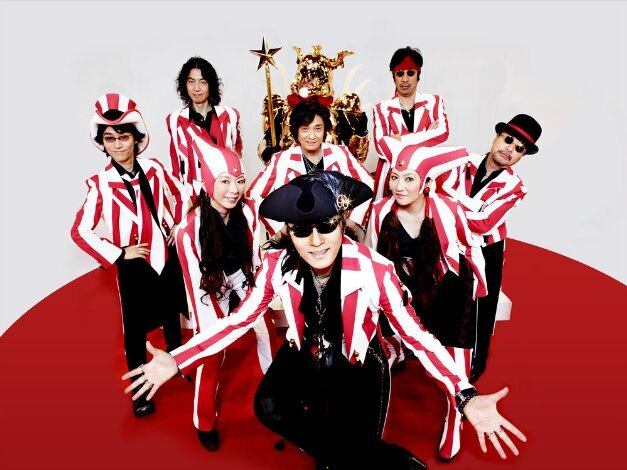 Their unique sounds that incorporate musical elements of funk, new romantic, rock, pops, and folk among others, their eccentric costumes and makeup, along with vocalist Carl Smokey Ishii’s comedic MC’s has acquired them much popularity. The band is host to a large family including support members consisting the dancer team “SUE CREAM SUE” and the horn section “BIG HORNS BEE”. Their unique stage performances are a big contributor to their popularity. Broke up in March 1997 after their concert at Tokyo Dome, but made a temporary come back in April 2006. Retracted their plan to make their comeback only temporarily and has been active ever since.